Synopsis: The authors, representing the American and European approach to organizational design, have entered into this important area in a very comprehensive and interdisciplinary manner. They define an organization to be a structure of form, information, decision rules, and incentives which can be changed within limits. The book is concerned with the interplay between organizations in the real world, and organizations as formal models, as an approach to the choice of efficient organizations in an efficient manner. 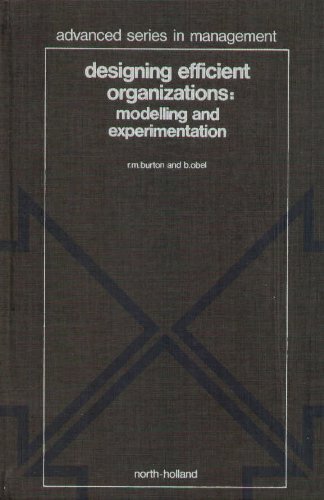 The book is a synthesis of operations research, management science and social science approaches to organizational design process and choice.